Whether you drive a Harley Davidson, Suzuki, Yamaha, Kawasaki or a Honda, Tiger Racing has the specialized performance parts you need to make your bike the best it can be. 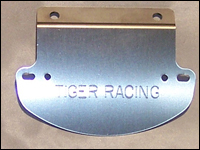 Tiger Racing is the best place on the web for specialty aluminum products to customize your bike and make it faster. Our Land Speed Racing Collection is perfect to help you increase the speed of your sport bike. The Land Speed Racing Collection includes chain guard extensions which can be custom mounted to just about any chain guard. You will also find a wide variety of chain guards that were developed to extend completely from the front sprocket to the rear sprocket for both stock and extended length swing arms to qualify for SCTA, ECTA and AMA/Dragbike Chain Guard rules. All Tiger Racing Aluminum Products carry a 1 year full replacement warranty with proof of purchase. If your Tiger Racing Aluminum Product becomes defective, broke or unusable, simply return it with receipt of purchase for a FREE warranty replacement. All parts sold by Tiger Racing are for off road closed course use. 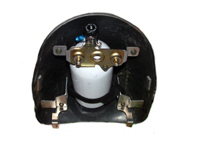 They are not intended for use on public streets or highways.